Find nice looking Sunglass Displays here! 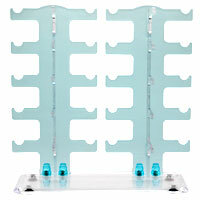 Looking for Wholesale Sunglass Racks and Displays? We have them, buy direct from us and save you will see we have the lowest prices around because we directly manufacture our sunglass display stands. After you select your Sunglass Display you will want to see all of our Wholesale Sunglasses here. 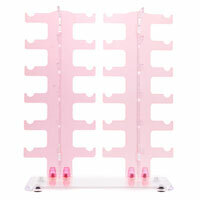 Counter Top Sunglass Display Holds 12 Pair. 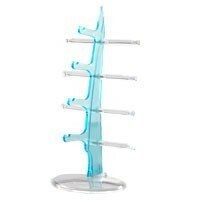 Counter Top Sunglass Display Holds 4 Pair. 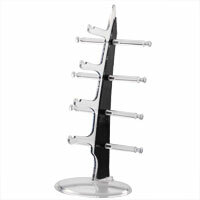 Counter Top Sunglass Display Holds 10 Pair. This display requires assembly. Height 68 in. x Width 16 in. 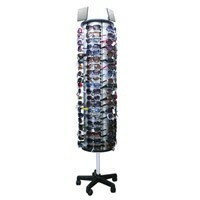 We carry a large variety of wholesale sunglass display stands. Our sunglass displays are designed to hold most any style of sunglasses or eyeglasses. We use quality materials when making our display stands so that they will not only look good but will stand up to use for years to come. 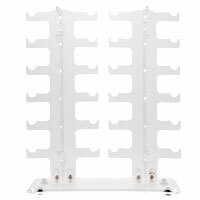 Our Floor Model display stands come in a few different styles to choose from. Our largest sunglass display is our 7049 display which holds 120 pair of sunglasses or eyeglasses. We also carry floor stands that hold 40-48 pair of sunglasses depending on how many pair you would like to have on display. We also carry floor displays that lock so that you can feel secure that your merchandise will not be stolen. 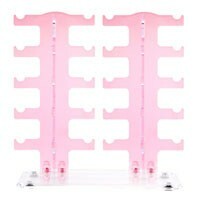 These floor model racks work great in convenience stores, beauty salons, tanning salons, retail stores, and much more. 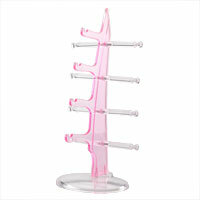 Our counter top display stands come in many different styles, colors and sizes. The sizes range from holding 48 pair of sunglasses to holding 3 pair of sunglasses. These displays work great in really any retail setting. It is easy to find a small spot on a counter for a sunglass display. And since these great displays come in so many different colors and styles it is easy to find one that will work well in your business. 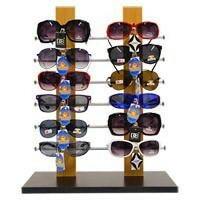 Our wholesale sunglass displays come in a variety of prices guaranteed to fit in to your budget. We also carry so many different styles so there are sure to be some styles that you will love.